The years, months, weeks and hours planning and training for this event are immense, but what made it all worthwhile was the culmination of bringing together some of the most talented and experienced equestrians and their equine athletes from around the world in a quest for the top of the podium and the admiration from their country’s fans. The Tech Equestrian had the opportunity and pleasure of experiencing these moments to cheer on the USA team and watch in amazement how each horse and rider team executed technical courses and some of the biggest jumps known to the sport at 1.65m in height. Adrienne and her beloved mare Cristalline fly over the final fence in the final round of jumping competition on Friday. Adrienne soon became the darling of the ring the minute she started competing at WEG. Her passion and desire to be the best on the world stage while demonstrating her love and admiration for her mare was heartwarming and brought the human element to a very serious and intense competition. The crowd was captivated by her determination and the connection she had with Cristalline as they jumped consistently with few errors over each course to help clinch the team gold for the US. Adrienne had no shortage of hugs for her mare especially after winning the coveted gold. Grace under pressure demonstrated by Devin Ryan and Eddie Blue clearing the Tryon 2018 jump. 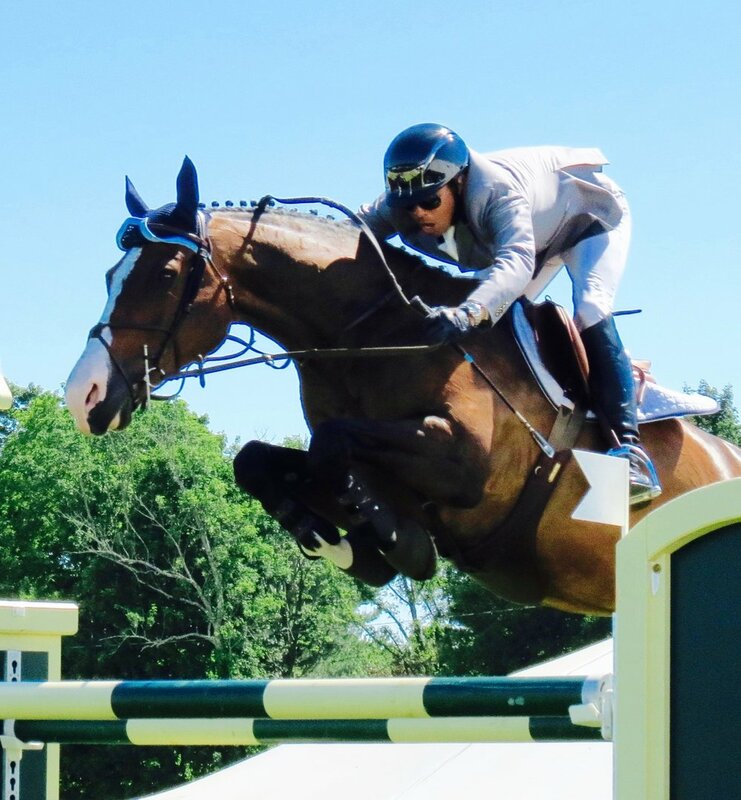 Devin and Eddie Blue have had a very successful and eventful year showing at top events in the US and in Europe and the experience paid off as they delivered clear rounds in the final round and the jump-off at the World Equestrian Games. This stunning pair were focused on performing their best for the US team. Making it look easy - Laura and Zeremonie take to the air with plenty of room to spare. Many pats and praise for her superstar mare Zeremonie. McLain and Clinta in the jump-off round put in a winning performance by delivering a fault-free and best time score. If there was ever a horse and rider team that you’d want as your anchor - it would be McLain Ward and Clinta who have such a partnership that handling the last to go with enormous pressure to deliver seems to be where they thrive the most! Last to go but first in flight - McLain and Clinta come in for a landing. Making a grand GOLD medal entrance! McLain raises his helmet in glory as he smiles down to US Chef d’Equips Robert Ridland. Team USA in step as they greet the crowd. Emotions were high as Kraut and McLain share a moment on the podium.